CRUISIN’ THE COAST WANTS YOU! Cruisin’ is known not only for its hot rods and good times, but also its hospitality. Thousands of visitors from more than 40 states and abroad come to South Mississippi each fall to experience our event and all the Mississippi Gulf Coast has to offer. 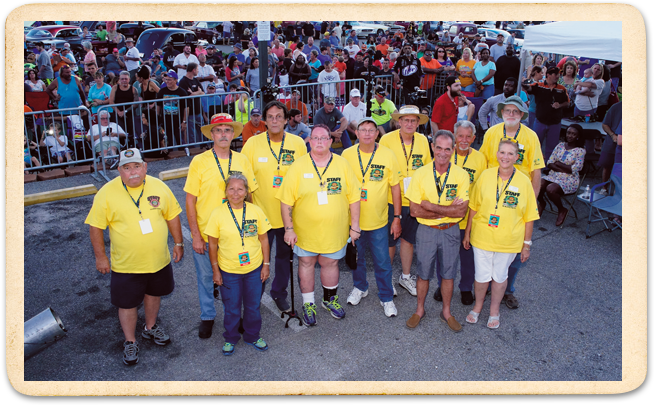 Cruisin’ Krewe volunteers help with everything from traffic control and parking to administration, hospitality and vehicle registration. Of course, it helps to know the nearest auto parts store and where to get the best shrimp po-boy, too. We invite fraternal organizations, professional societies, social groups and others to become Krewe members as part of their team building, community relations and camaraderie exercises. Every Cruisin’ The Coast venue and function uses and needs volunteers during the course of our 8-day-long event. Tell us where you want to work and when and we’ll get you matched as best we can. We have events happening from Pascagoula in the east to Bay St. Louis in the west, and most every town in between. From time to time we even need help in the Cruisin’ office or at other preparation events. To find out about available opportunities and locations, The Cruisin’ Krewe application and agreement will be available soon. Cruisin’ Krewe members must be 18 years of age and must commit to working at least 8 hours during the actual event. Most shifts are scheduled in 4-hour increments. Of course, if you have more time, we’ll take it! Some Cruisin’ Krewe opportunities require you to stand for most of your volunteer shift. Some opportunities require Krewe members who can lift heavy loads, have computer skills or cash management experience. And you have to do it all with a smile and shake hands for hours on end! One current year Cruisin’ Krewe t-shirt to be worn during work hours. If you love Cruisin’, love people and the Gulf Coast, let’s get started. The Cruisin’ Krewe application and agreement will be available soon. Once you have completed the forms either mail or email them to our office.